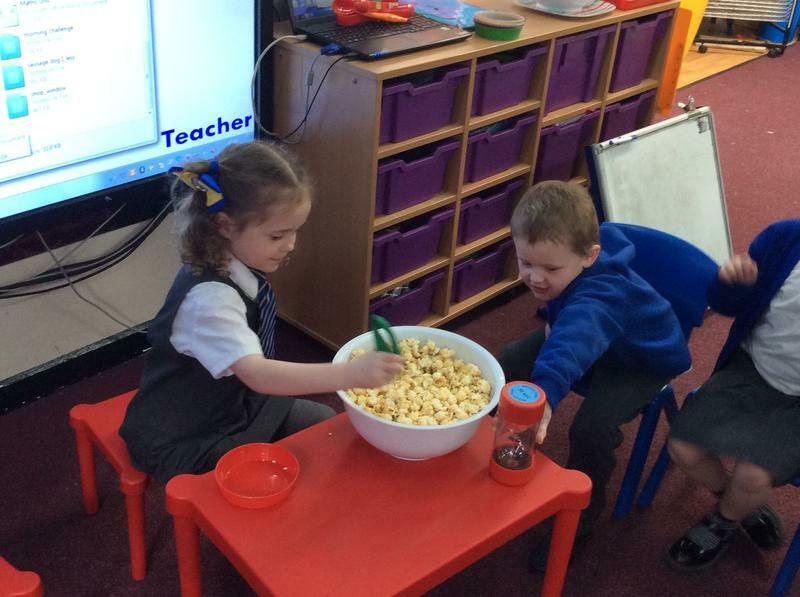 Popcorn challenge! 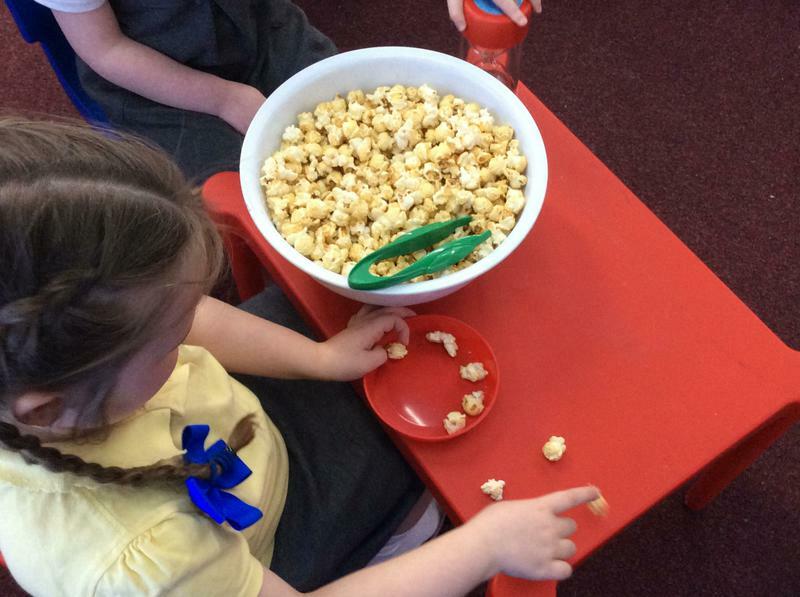 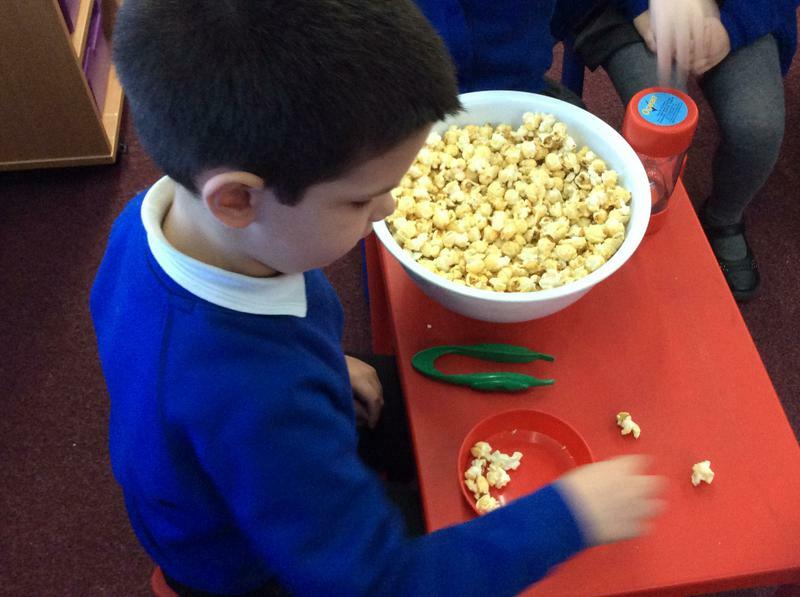 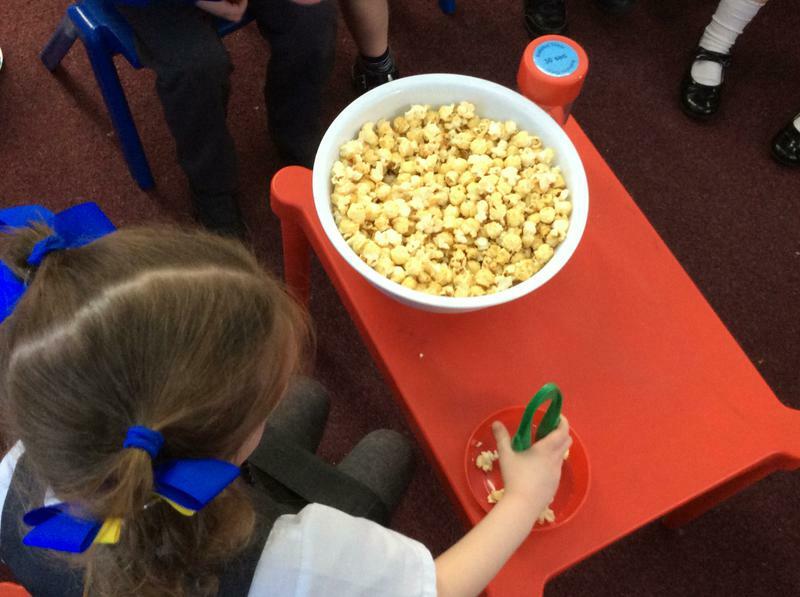 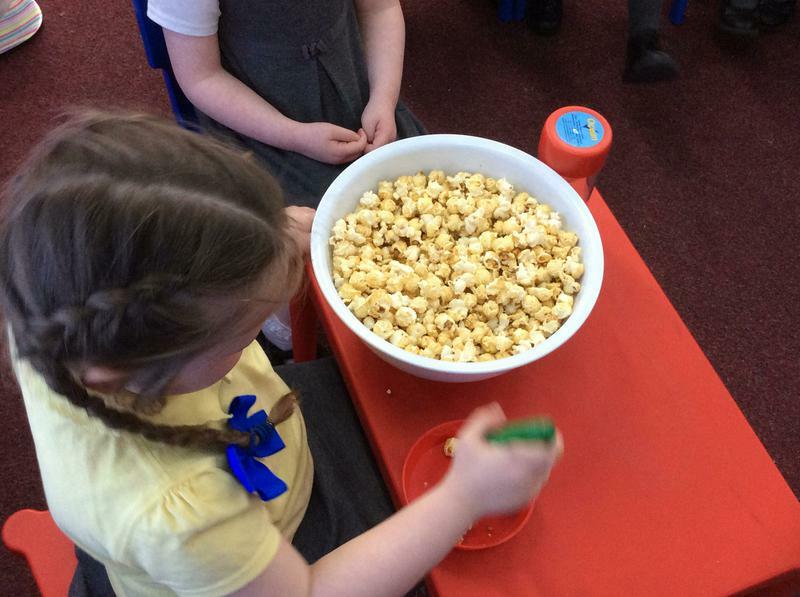 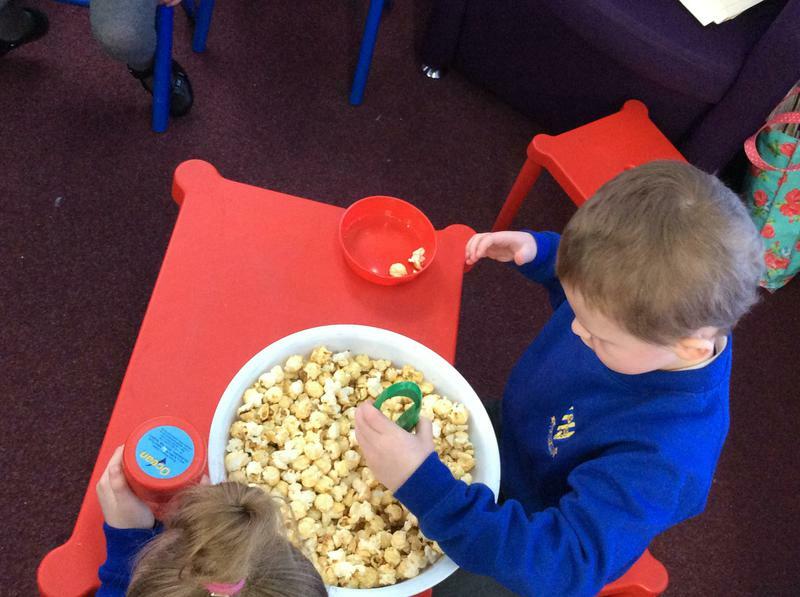 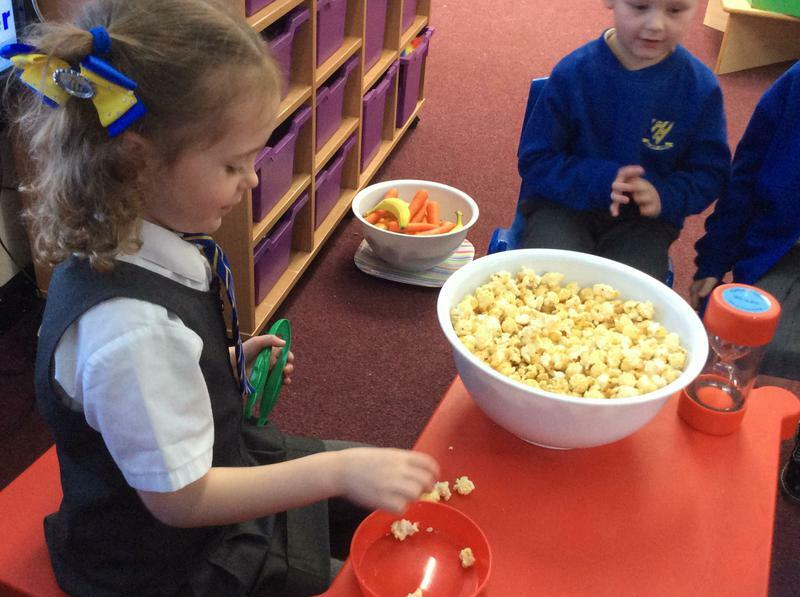 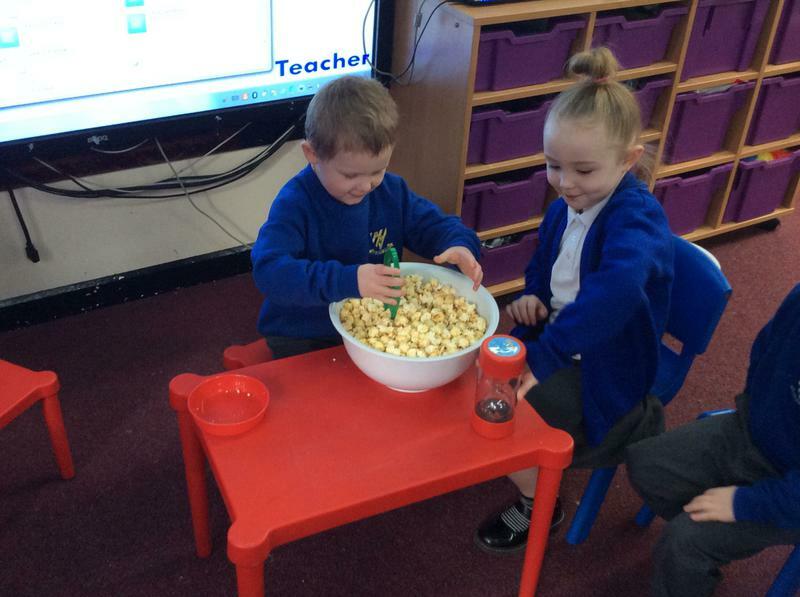 How many pieces of popcorn can you move from one bowl to another in just 30 seconds? 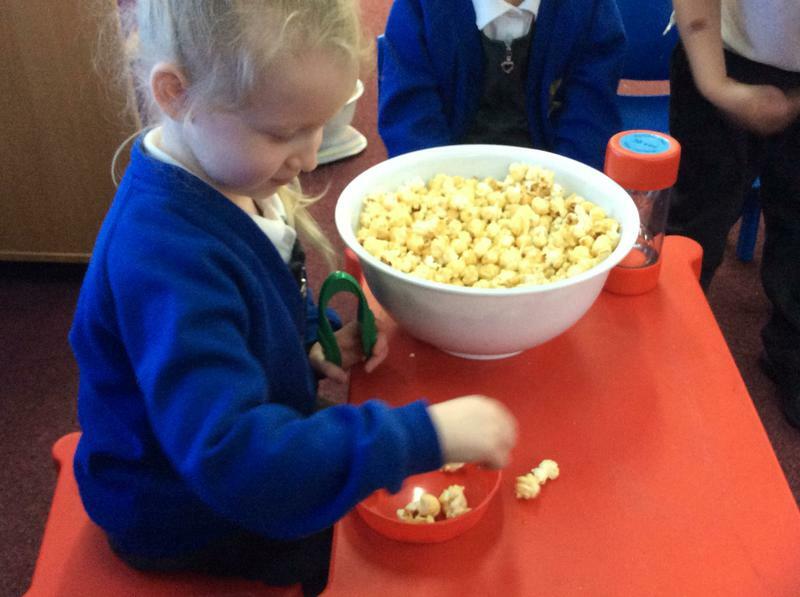 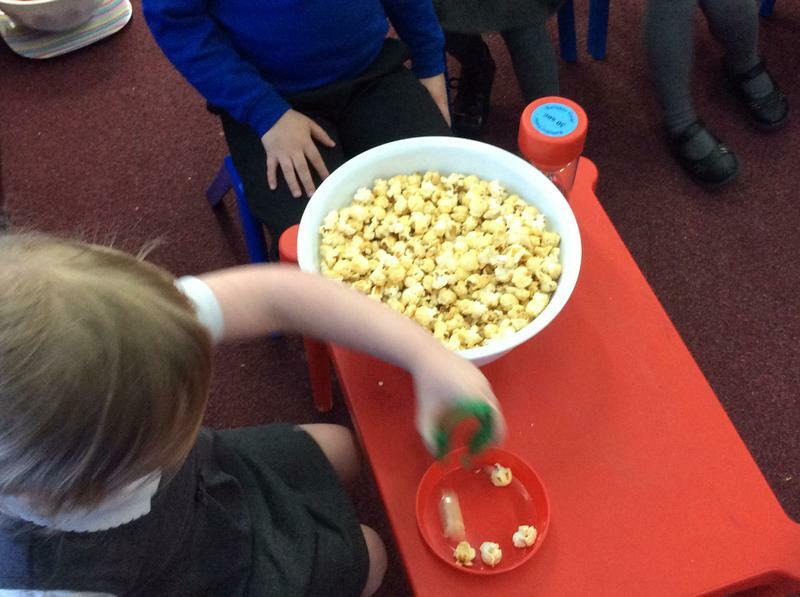 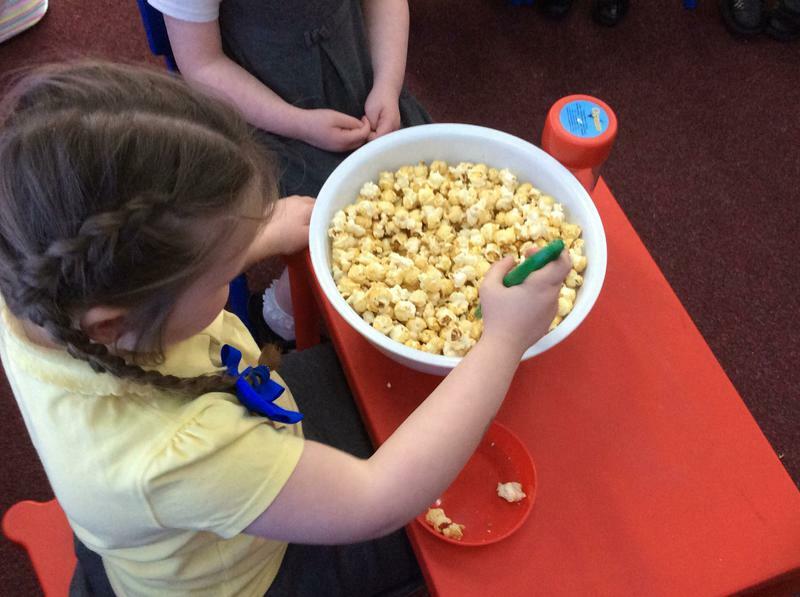 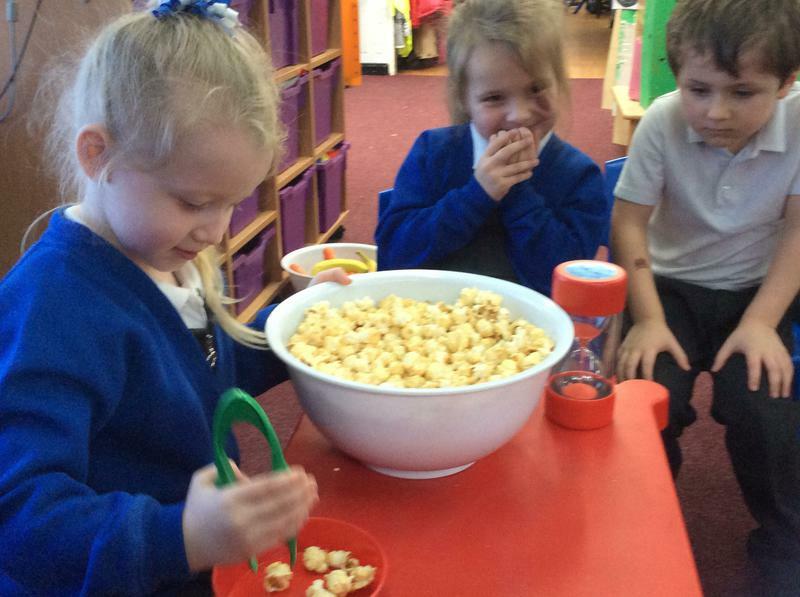 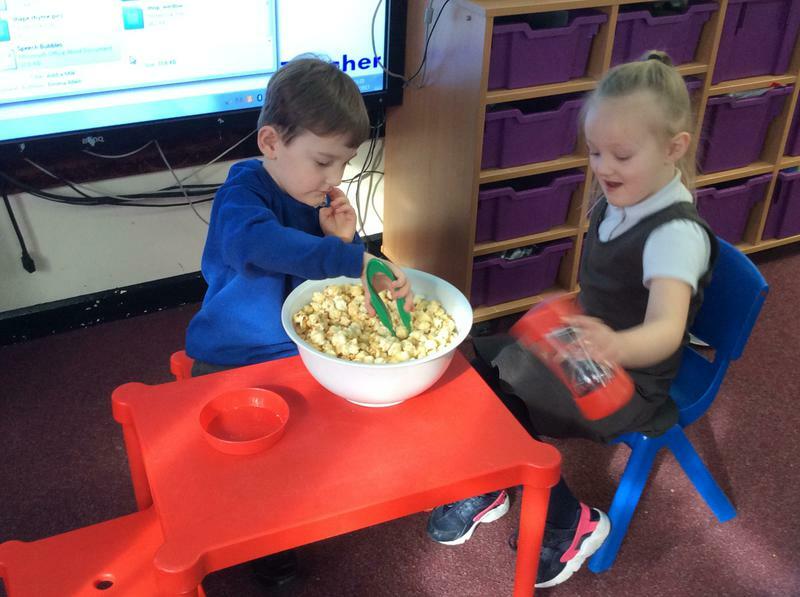 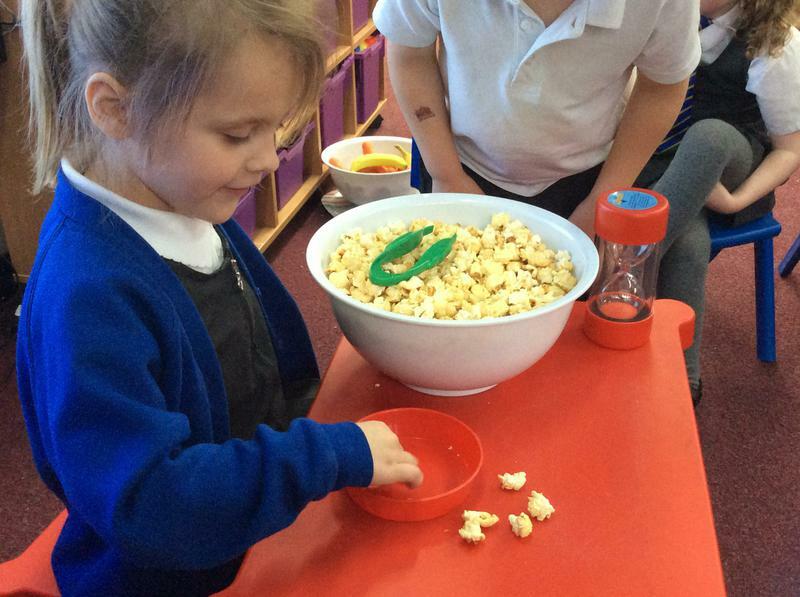 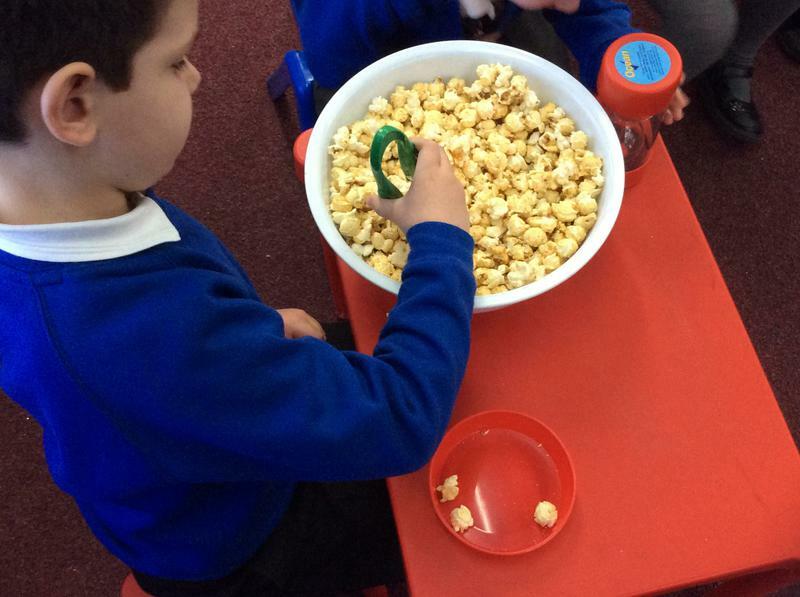 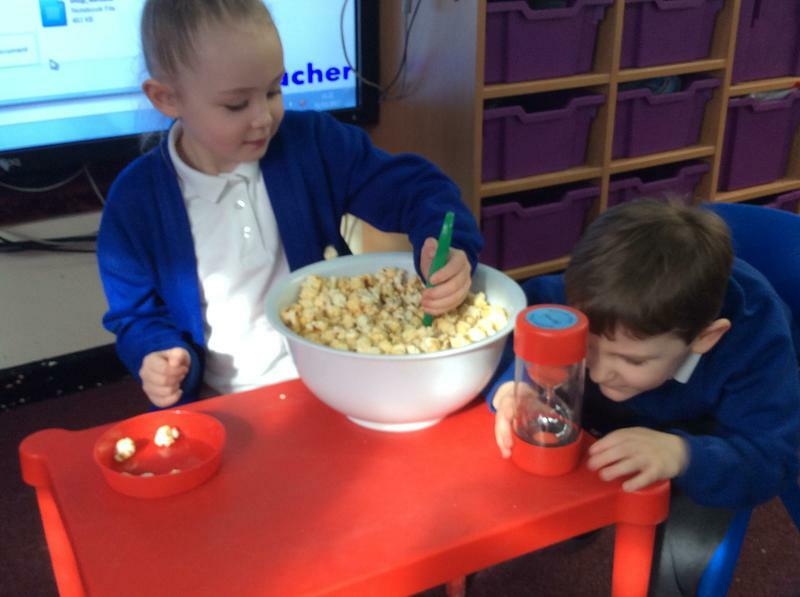 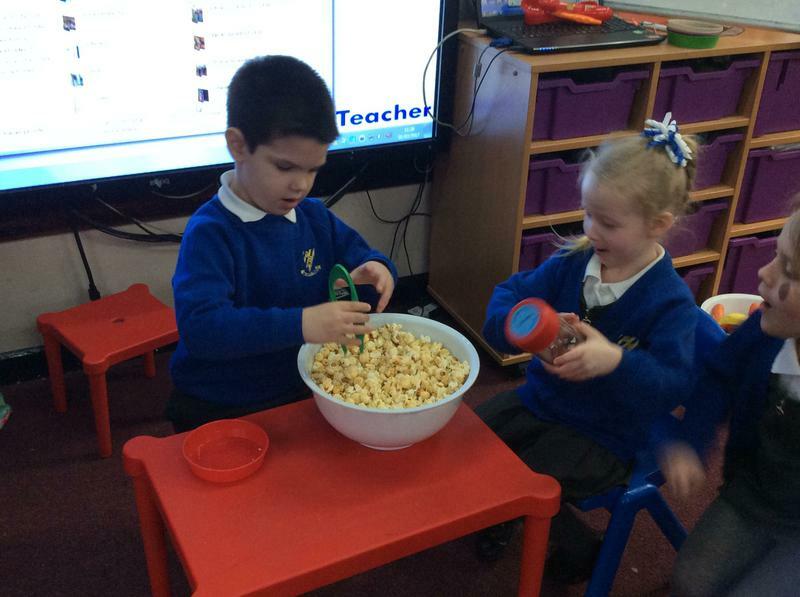 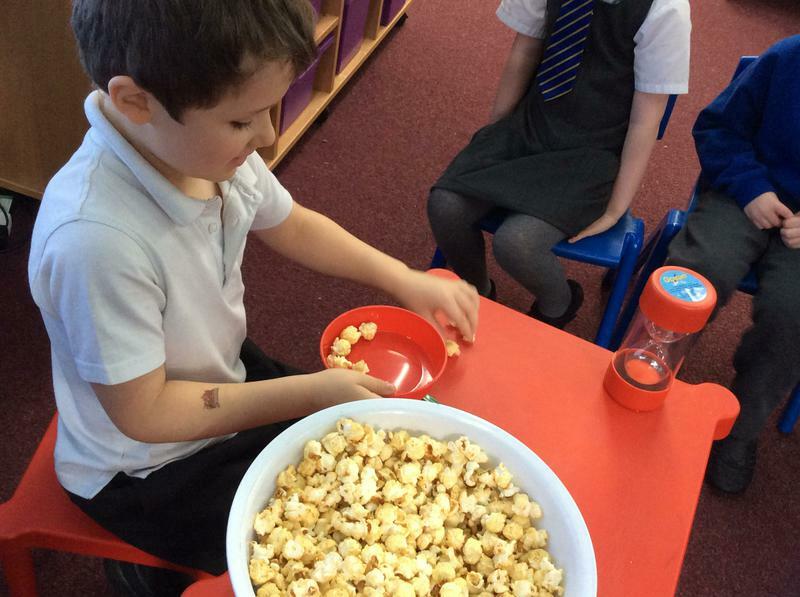 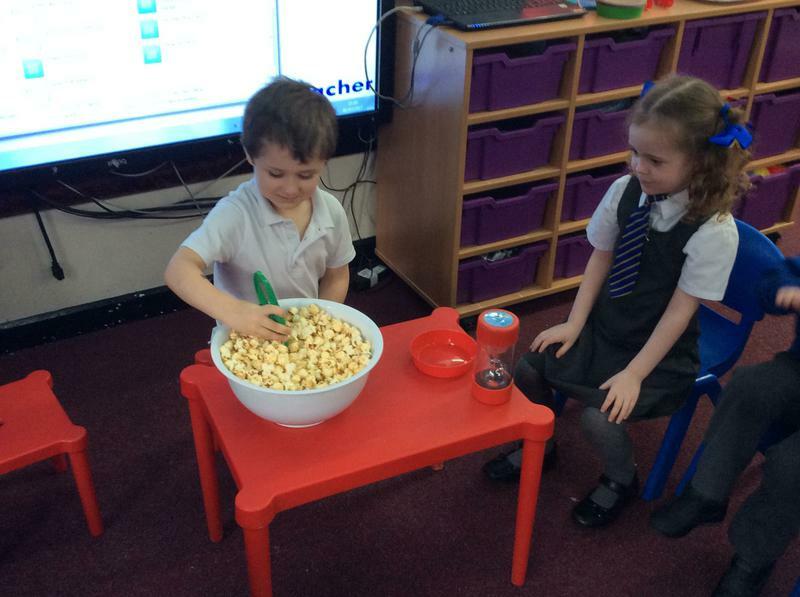 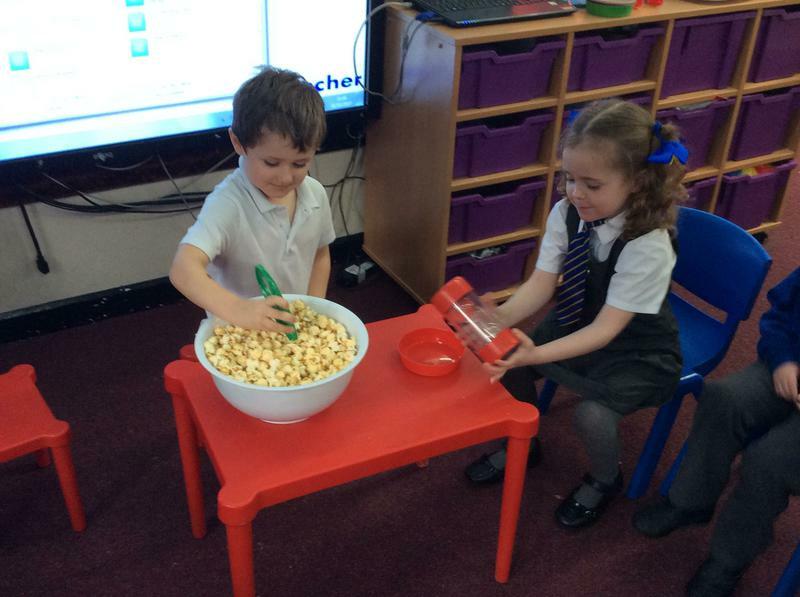 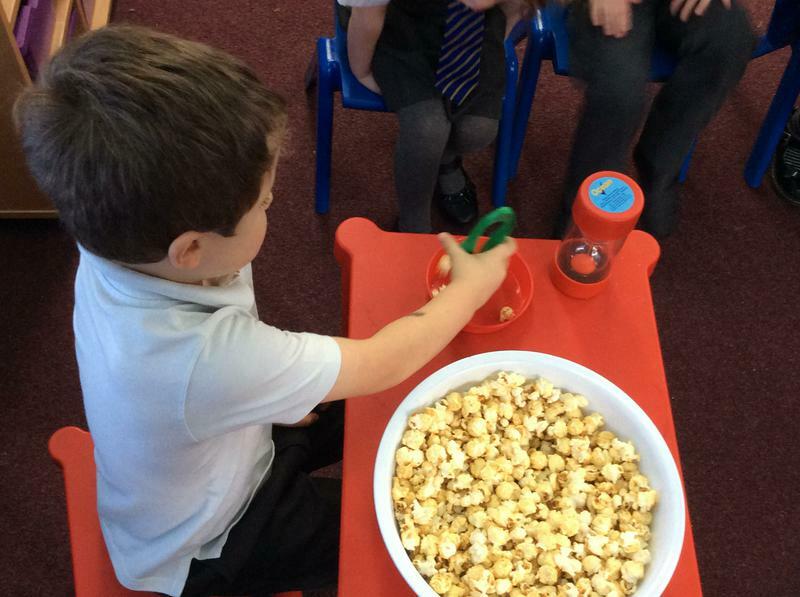 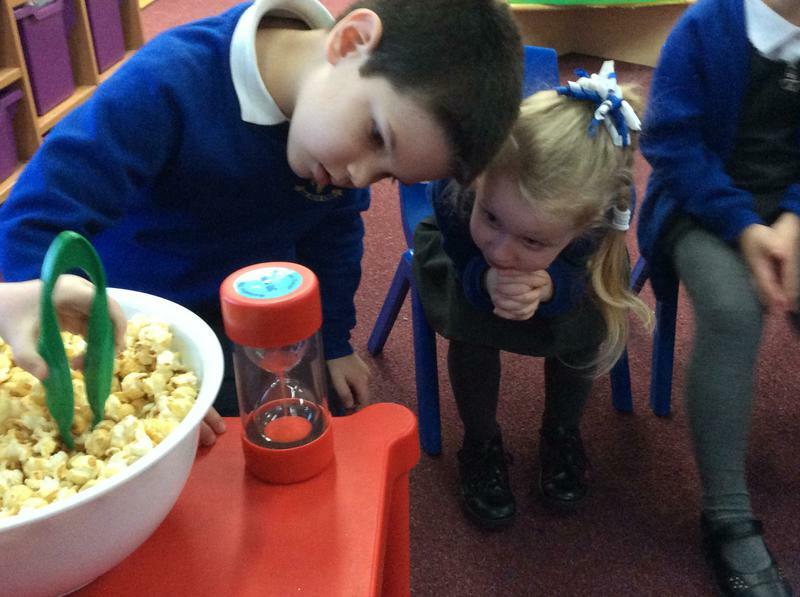 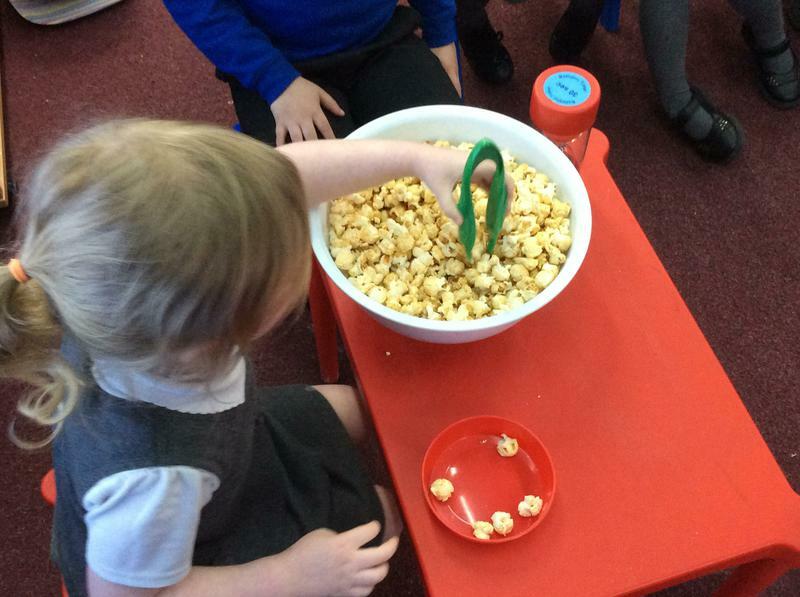 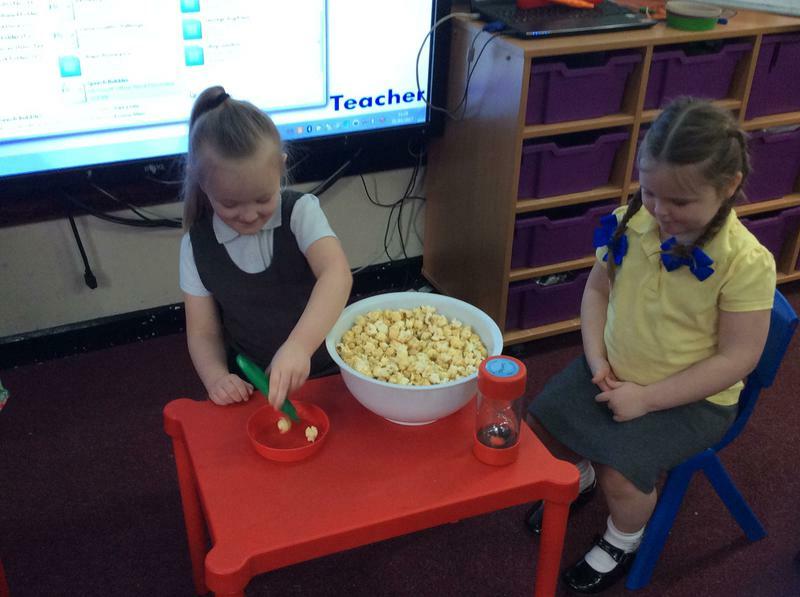 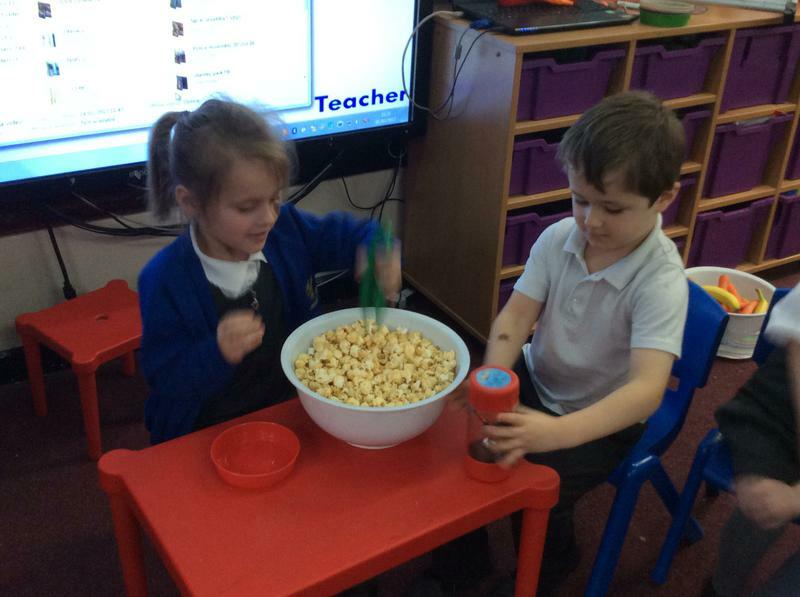 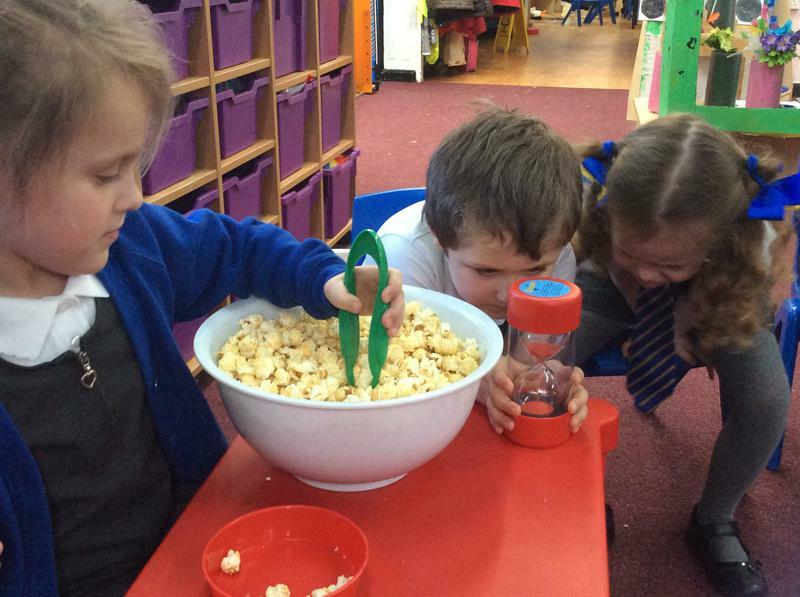 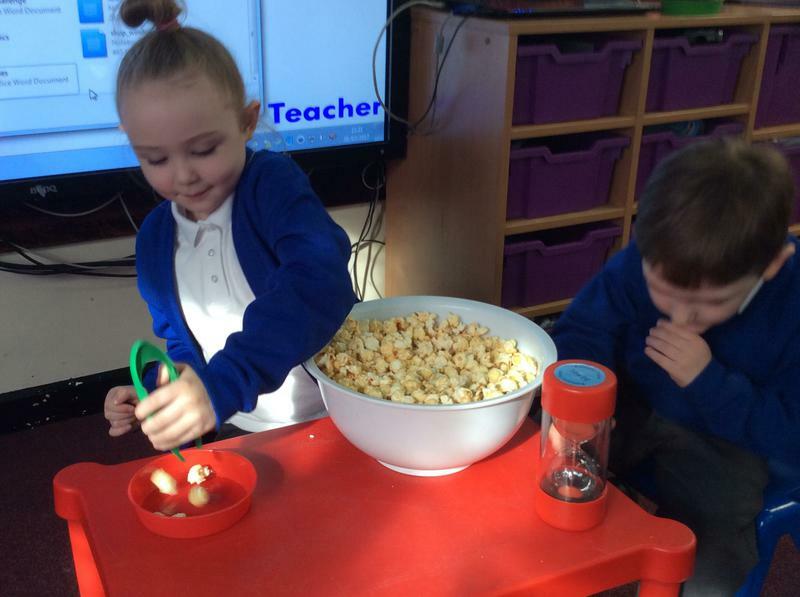 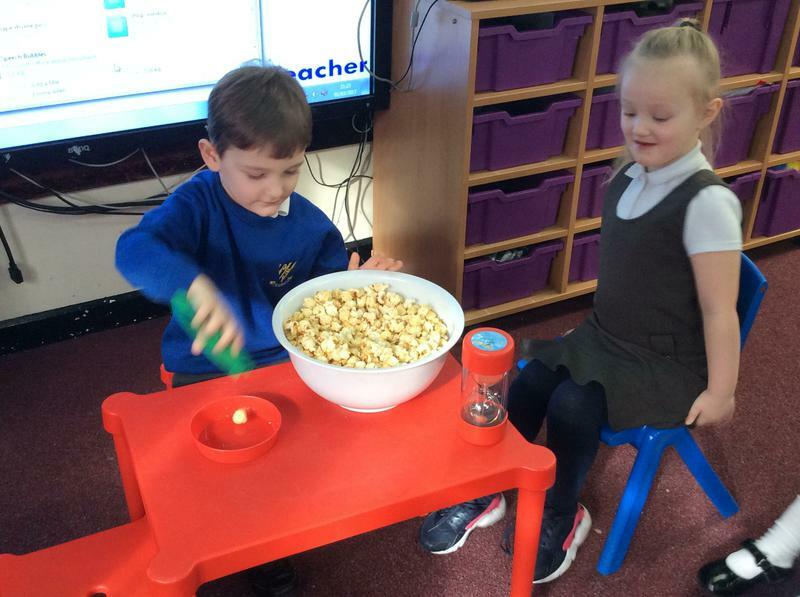 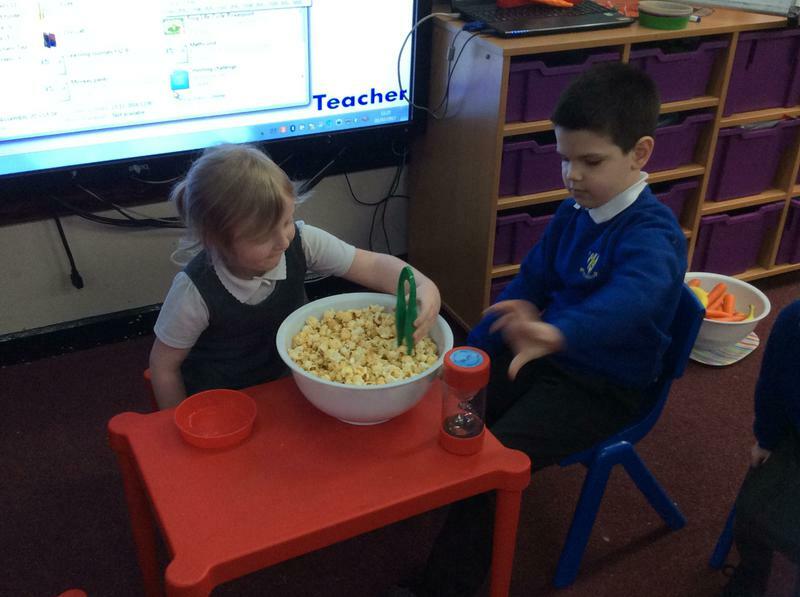 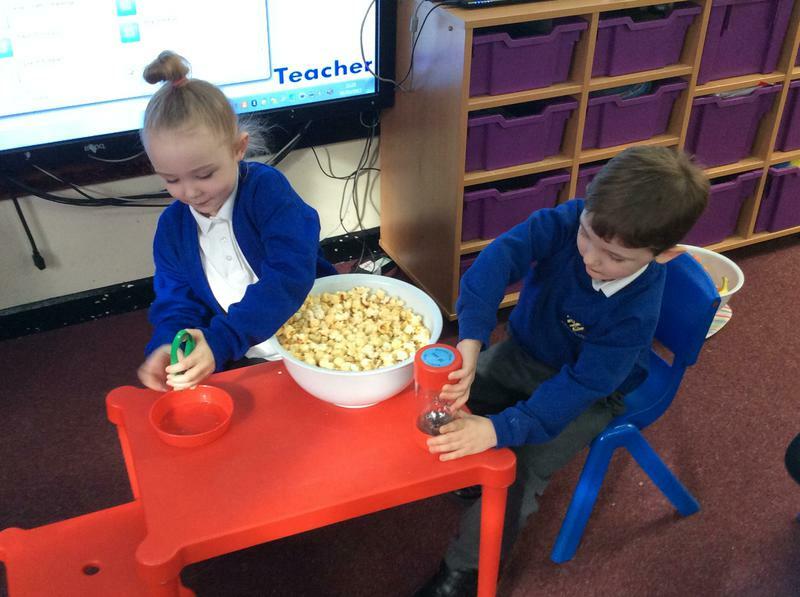 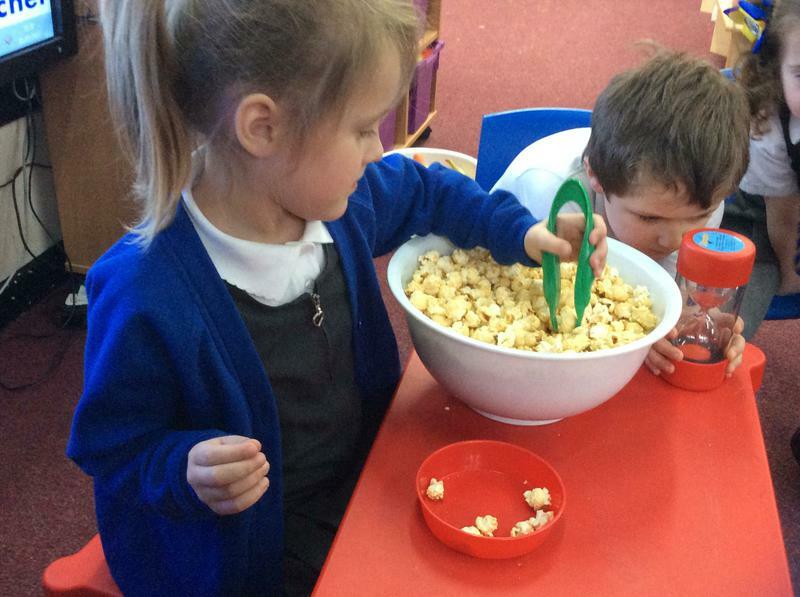 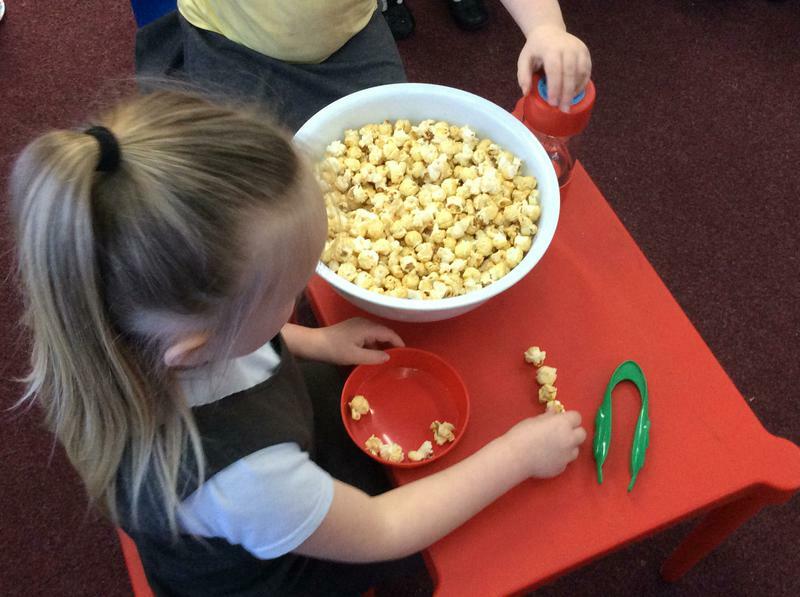 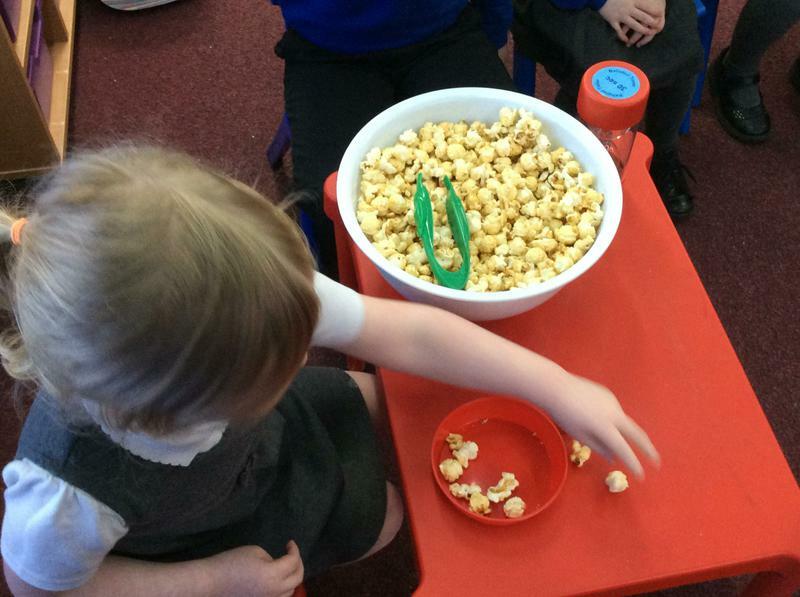 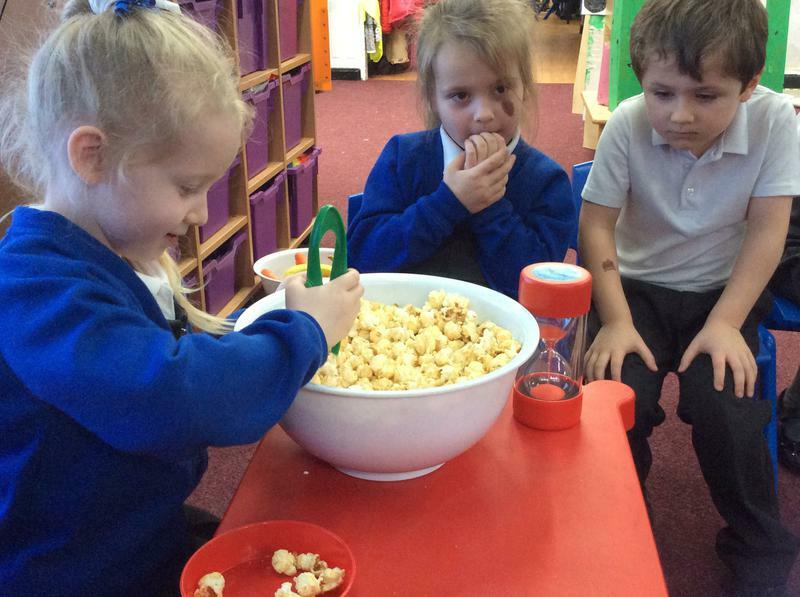 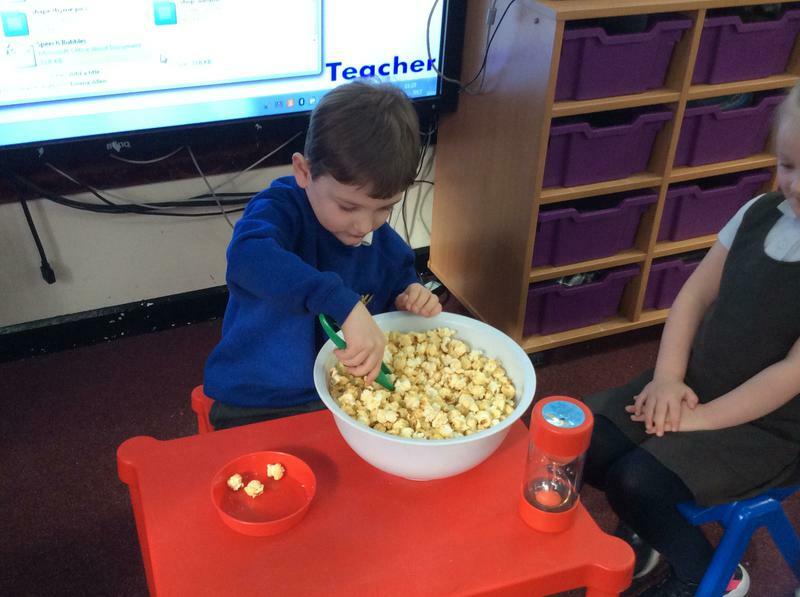 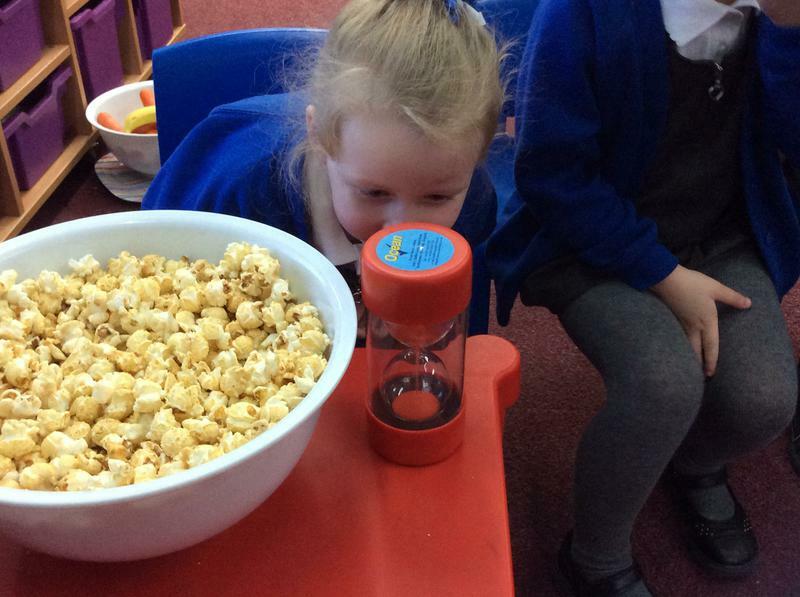 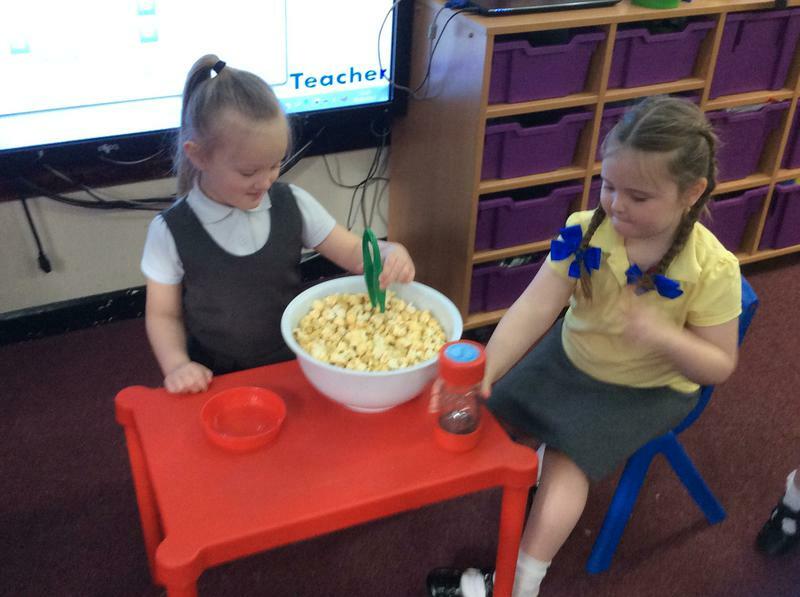 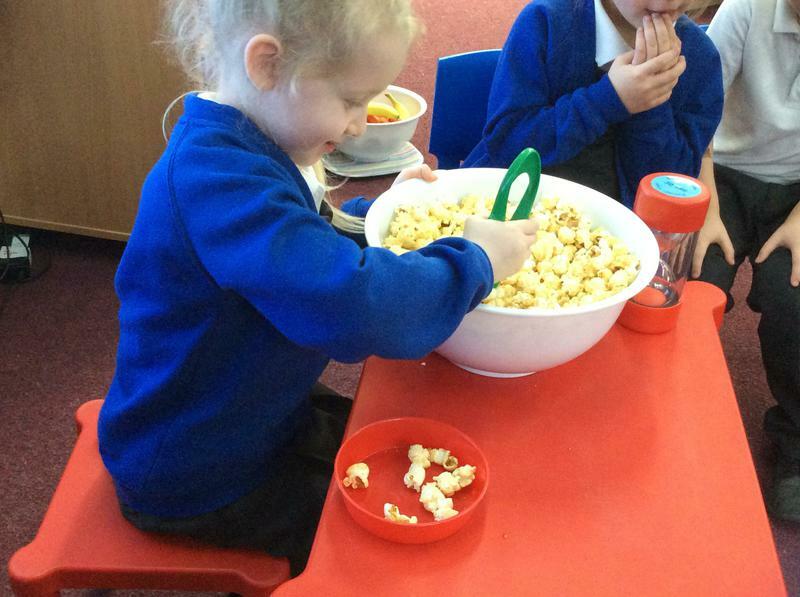 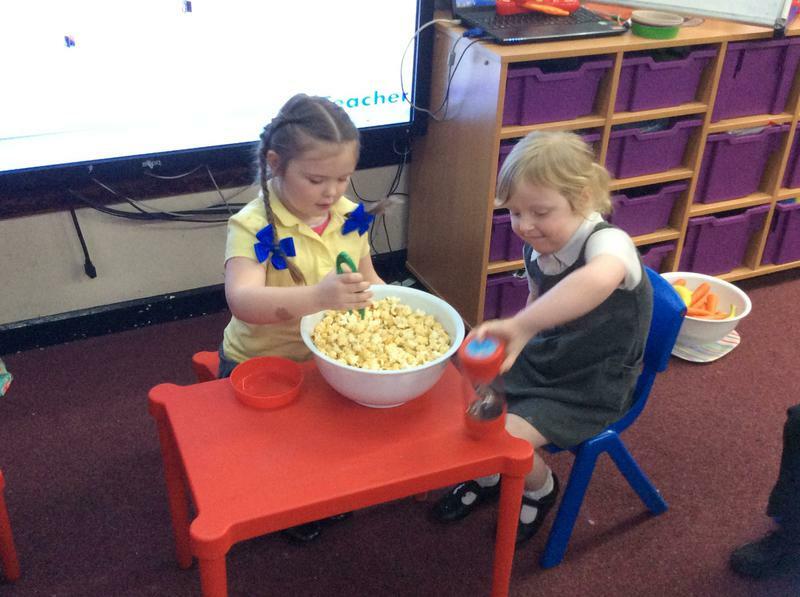 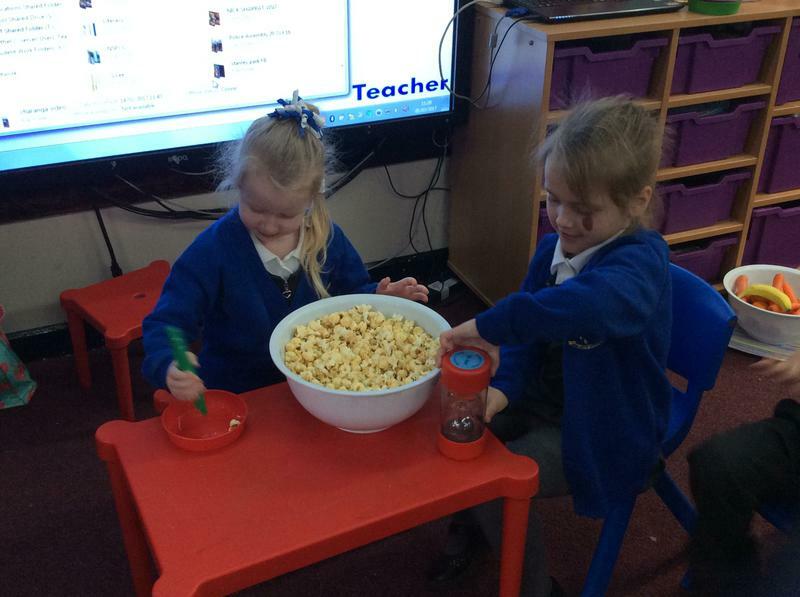 We used a sand timer to help us find out who was the popcorn champion! 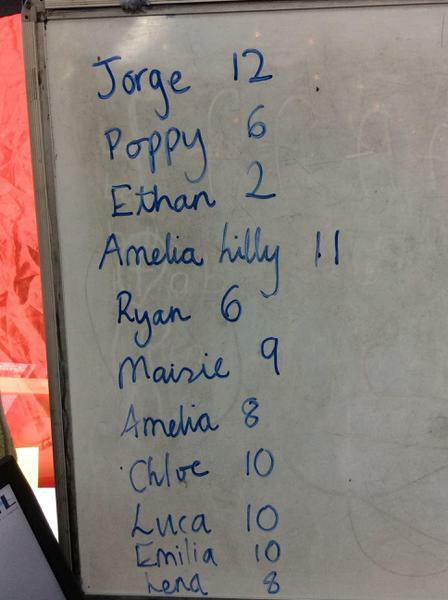 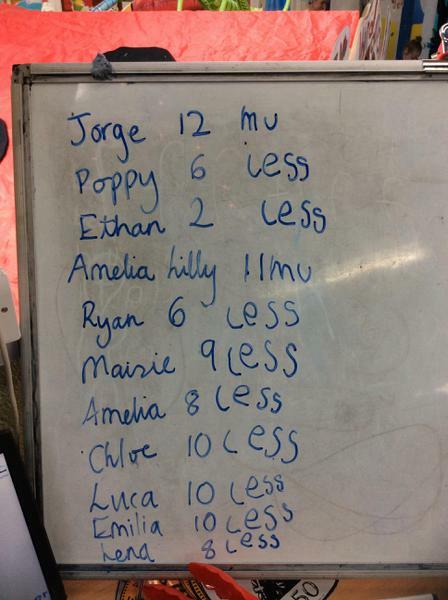 Have a look at the scores on our board! 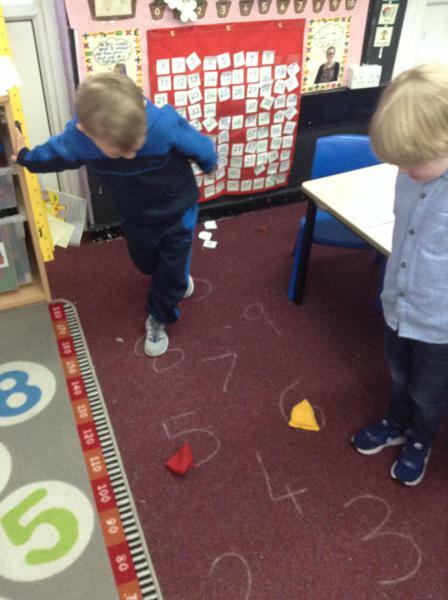 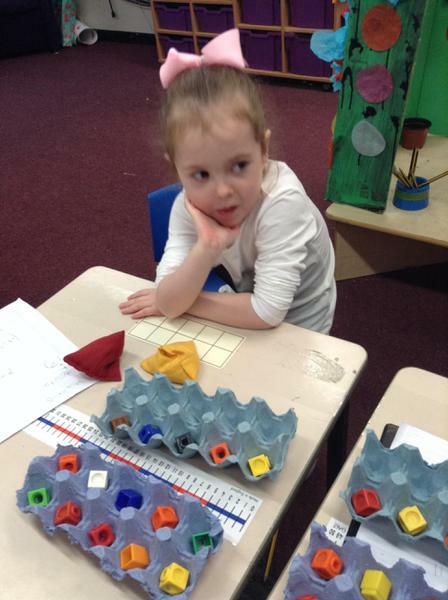 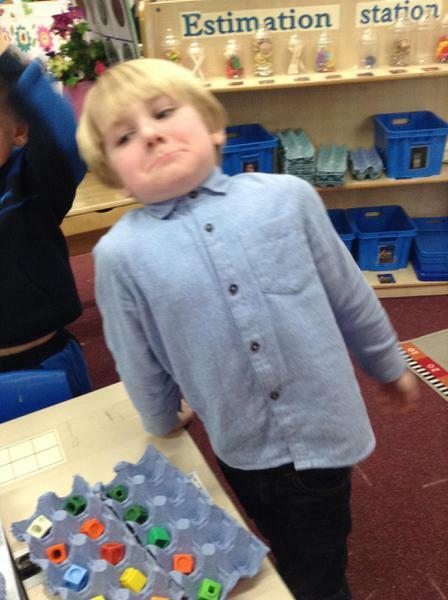 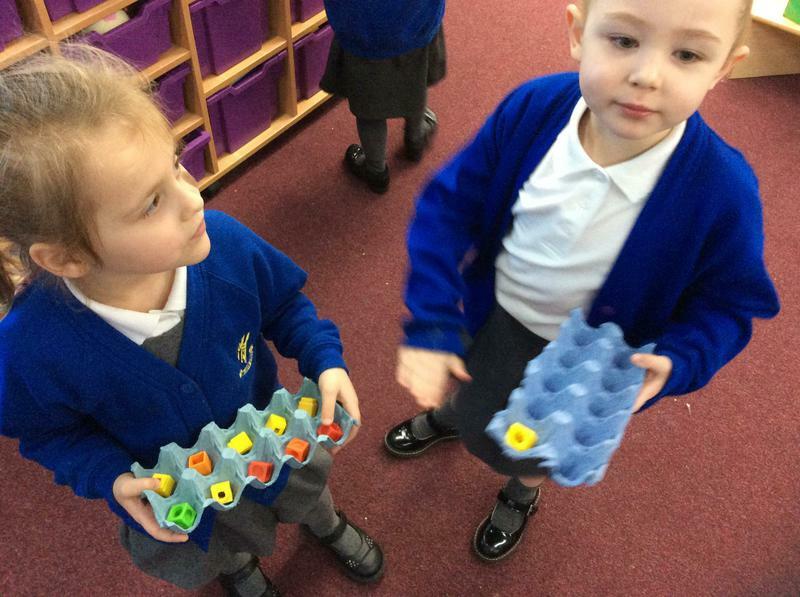 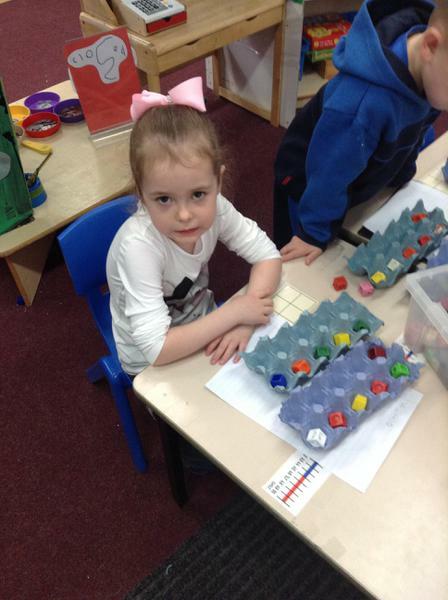 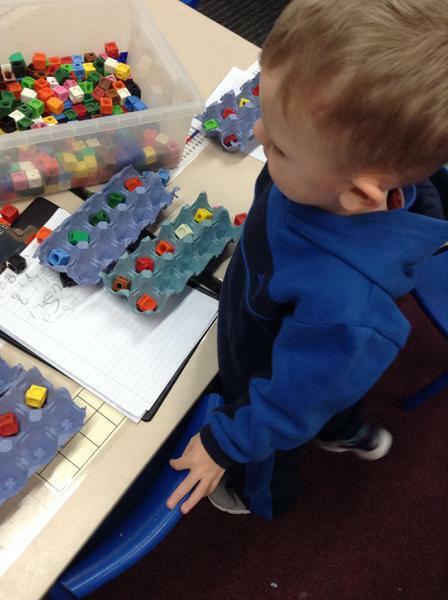 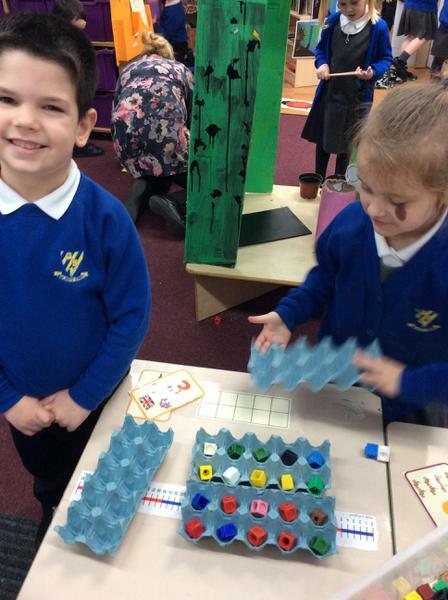 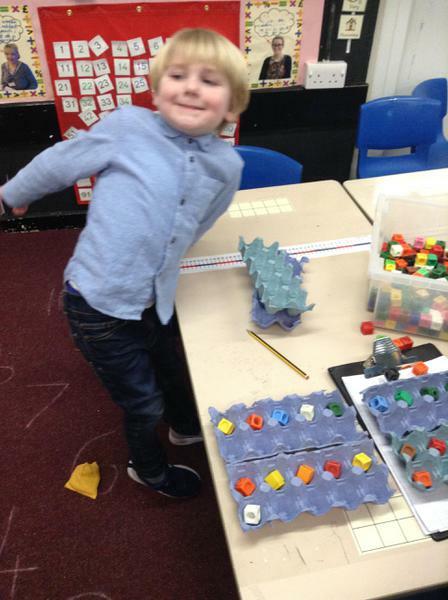 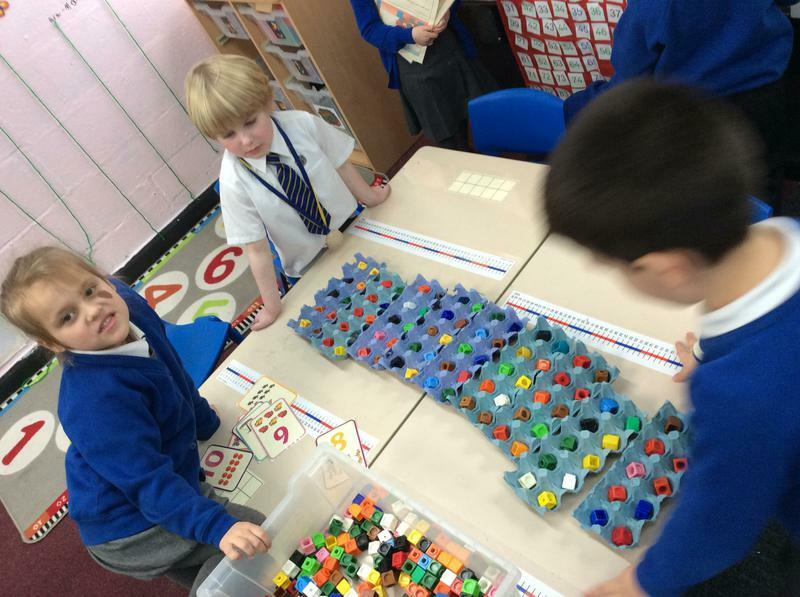 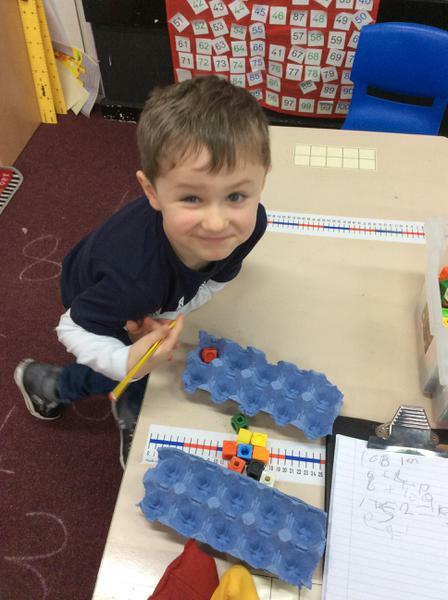 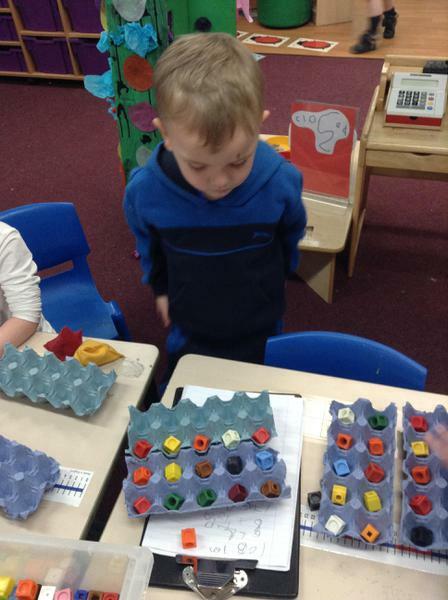 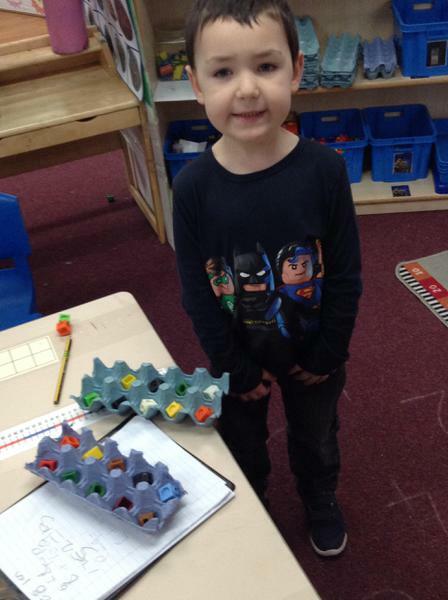 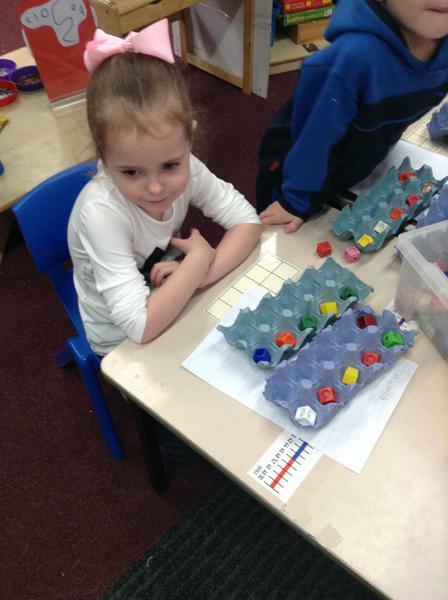 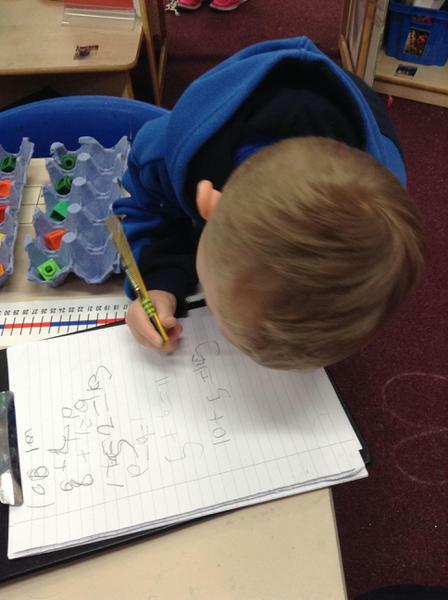 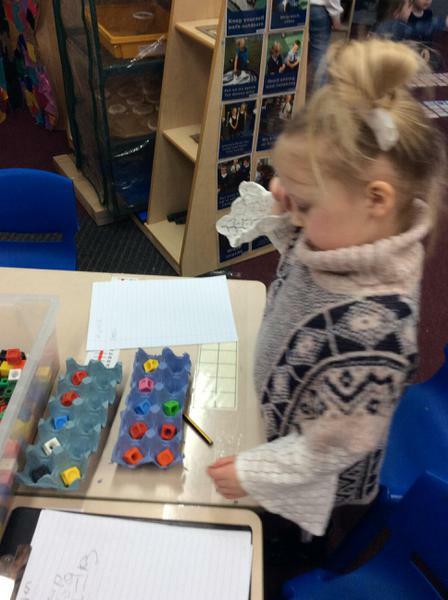 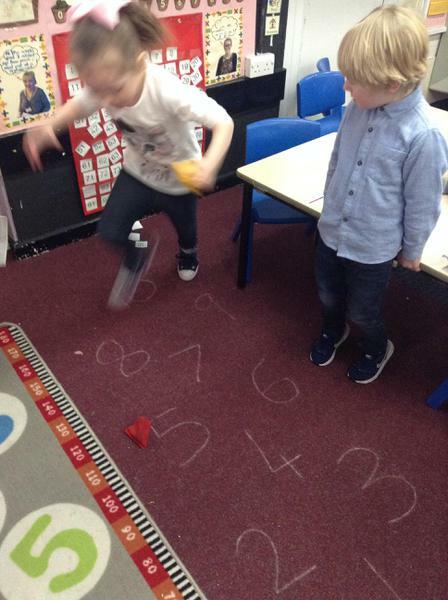 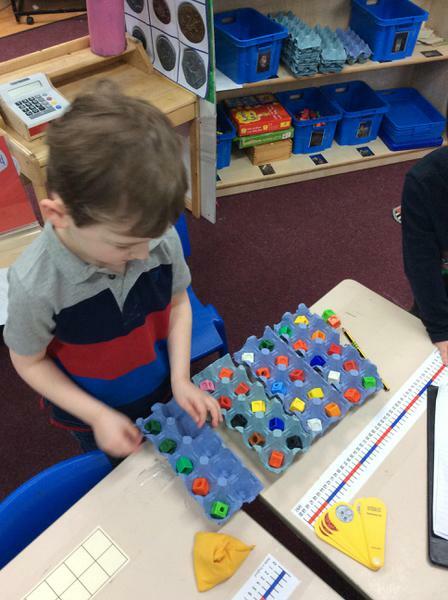 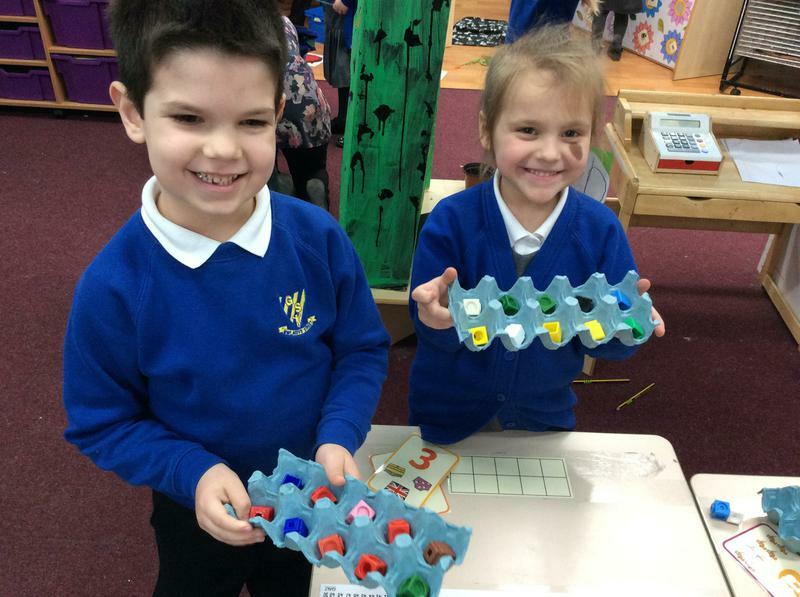 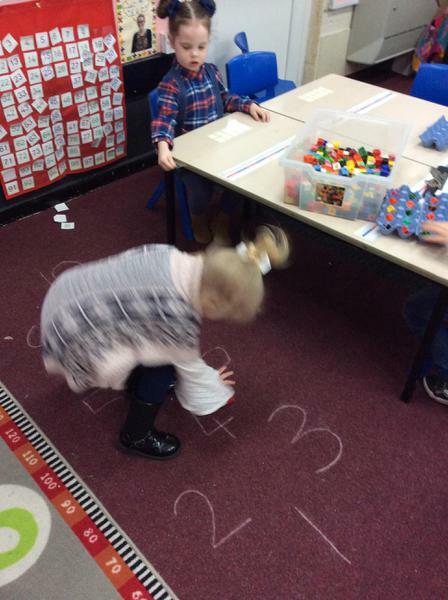 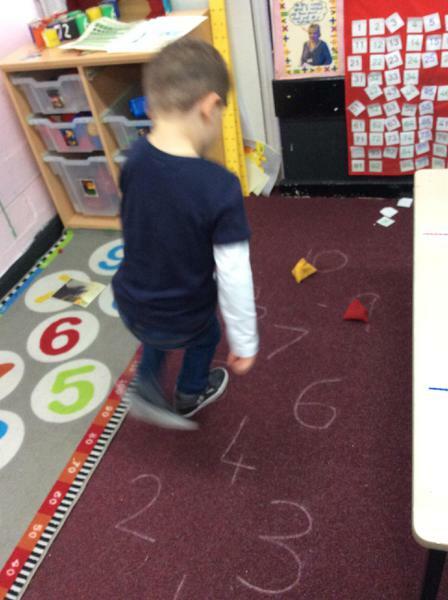 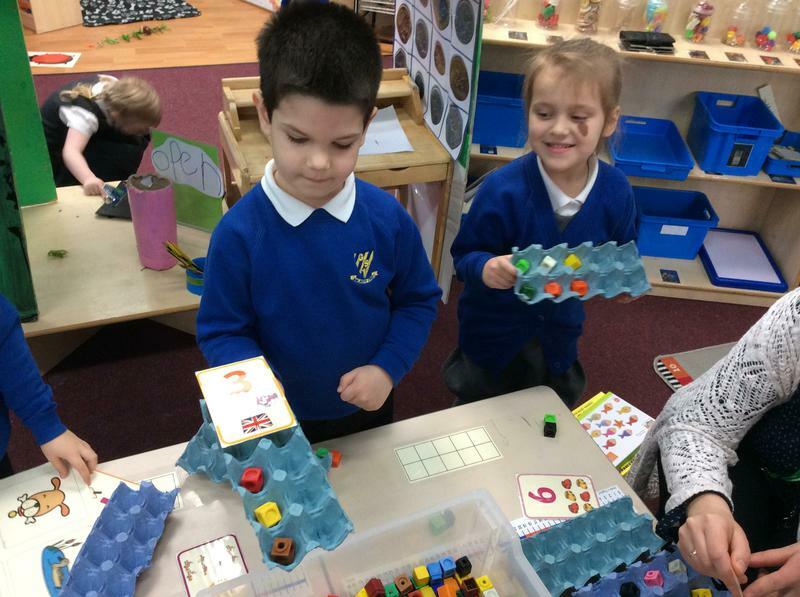 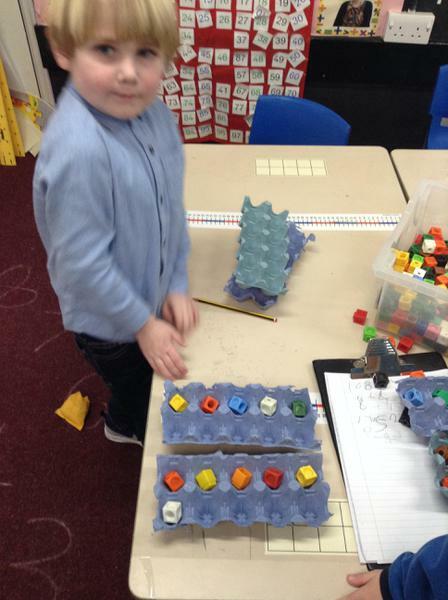 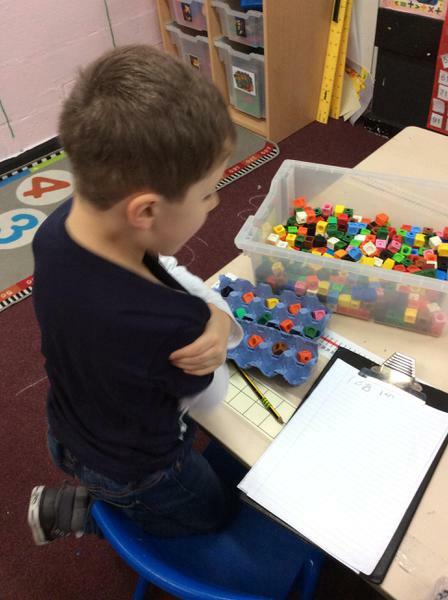 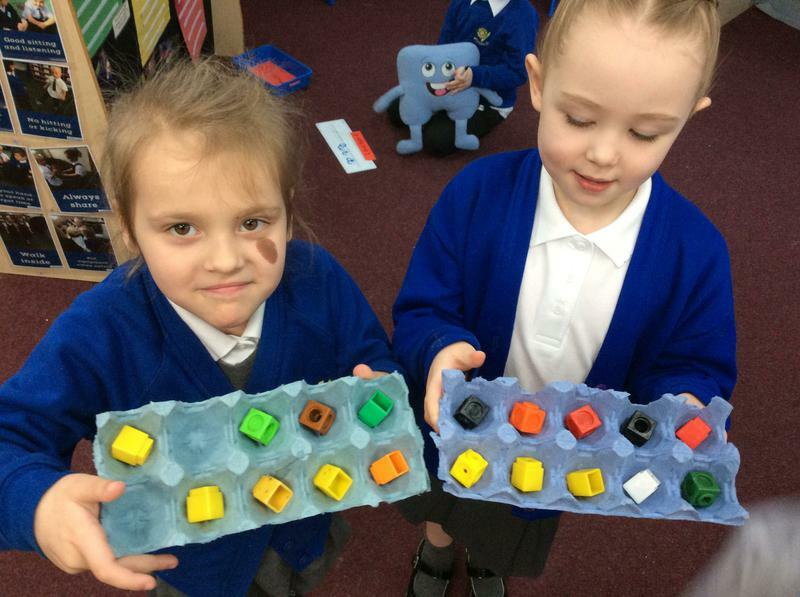 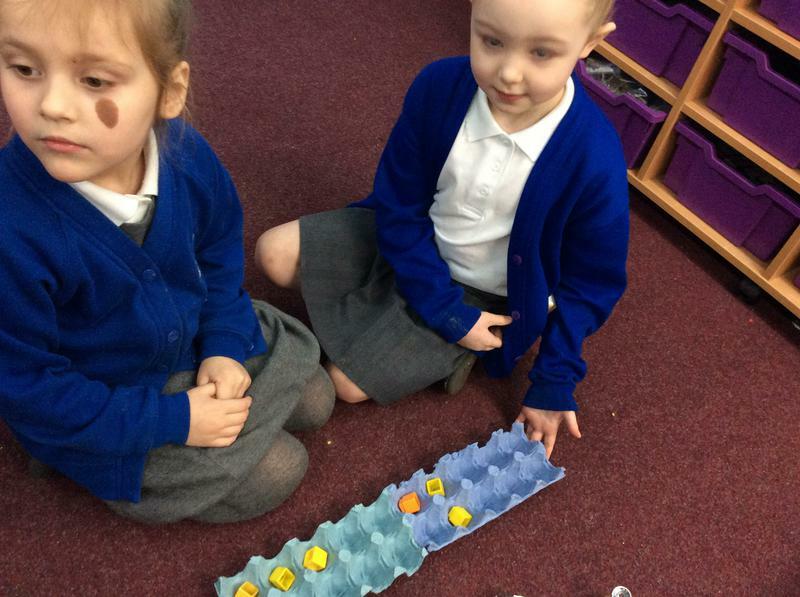 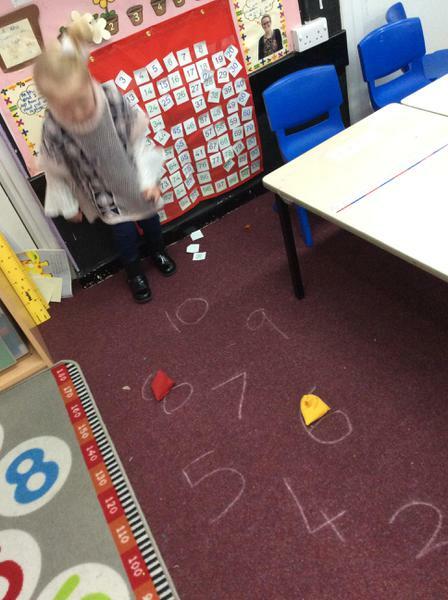 We use eggboxes to help us in all areas of Maths. 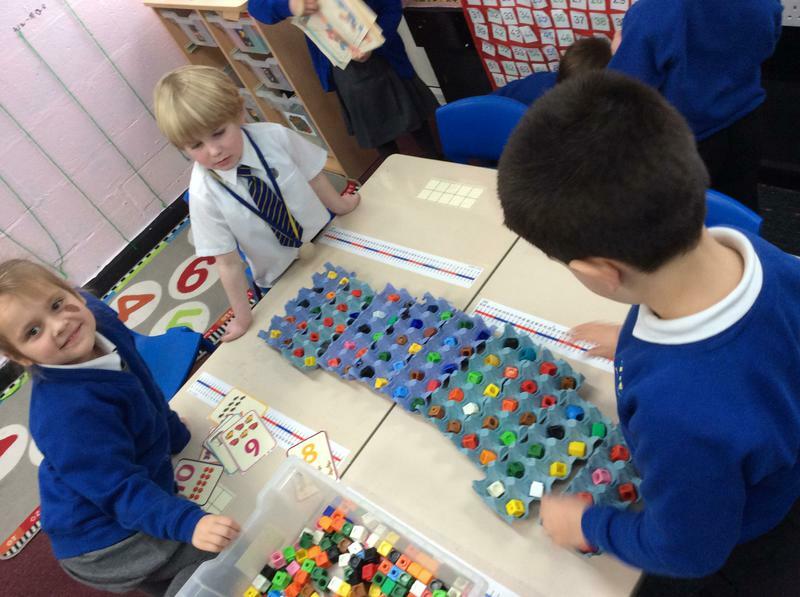 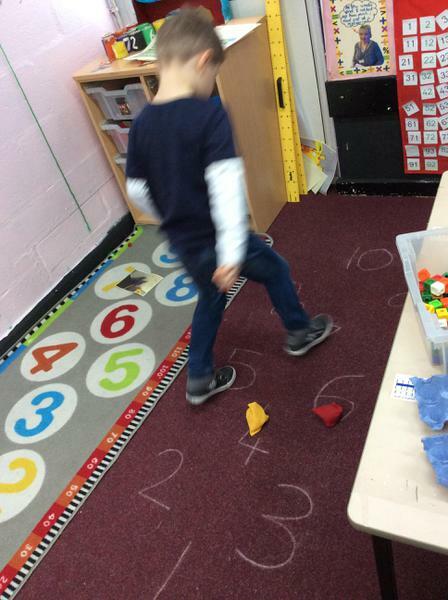 We use them to count in different ways, talk about numbers and solve problems involving addition, subtraction and money.